What do you think of the Wii Fit? 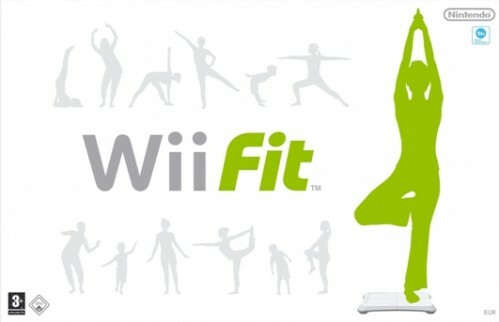 Home » Fitness » What do you think of the Wii Fit? Nintendo’s new Wii Fit has been said to be causing a selection of strain injuries, from minor lower back pain to carpal tunnel syndrome. Nintendo’s Wii Fit is an exercise system. Players stand on a small pad and are guided through repetitive exercises. These exercises run the range from track and field to hula hoop, and can be just as vigorous as the exercises they’re mimicking. I have spoken to a range of people that use the Wii Fit and outline that they often feel out of breath after a play. Just like real exercises, these can lead to various kinds of physical discomforts such as sore joints and strained ligaments. Many users have said that they experienced lower back pain after yoga and hula hooping. Nintendo’s Wii System has been the subject of controversy since its inception, initially stemming from its innovative Wiimote controllers. The Wiimotes, when not strapped to the wrist properly, have a nasty tendency to fly out of player’s hands and damage friends, family or televisions. When faced with mounting damages following the initial Wiimote fiascoes, Nintendo introduced a warning screen before each game and warns users to make sure their wrist straps are fastened. I have also heard users mention that the initial Body Test used by Wii Fit uses the Body Mass Index (BMI) which is all very good and all but it doesn’t cope well with people who actually have a high muscle density. I have heard stories of people who have high muscle density being catagorised as being overweight. It seems like it can all get a little bit confusing. It has been said that these Wii Fit injuries are on the increase and I am hearing more about them in my everyday. What do you think of the Wii Fit? Let us know any of your positive/negative experiences?